When you have something that is way better than ordinary, blows everything out of the water, is a real game-changer, then you have something extraordinary! 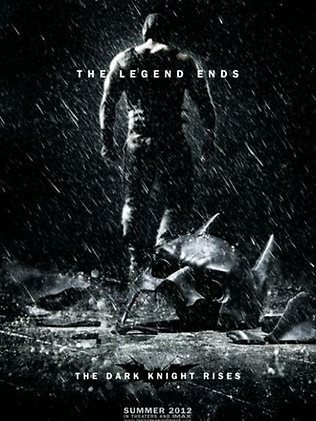 Now, The Dark Knight for me was epic. It was a great masterpiece that changed the game for moviegoers everywhere. Nothing was thought to ever surpass it. That was until The Dark Knight Rises hit theaters. It went so far beyond what The Dark Knight did that I could only think of one word to describe it and I had to make it up. The Dark Knight Rises was extraepic™! It blew my mind away at every turn. Christopher Nolan has done a great job in creating one of the best trilogies to ever exist in cinema. The film tells the story of Bruce Wayne eight years after the events of The Dark Knight. He has become a recluse, caging himself up in Wayne Manor and refusing to go out into the world. Gotham has become a relatively crime-free place since the incorporation of the Dent Act. This peace obviously does not last much longer as the city hopefully expects. As it turns out a mercenary called Bane, who has taken over The League of Shadows after Ra’s al Ghul’s death, comes with a plan to destroy Gotham once and for all. Bruce also becomes entangled with a mysterious cat burglar named Selina Kyle who in a way helps him out of his reclusiveness. To save Gotham Bruce must put back on his cape and cowl and become Batman once again. The film brings back stars Christian Bale, Michael Caine, Morgan Freeman, and Gary Oldman along with newcomers Marion Cotillard, Joseph Gordon-Levitt, Tom Hardy, and Anne Hathaway. Christian Bale was absolutely great this time around as Bruce Wayne/Batman. His acting was superb; flowing with the feeling and commitment that I thought was lacking in the previous installments. Michael Cain had a little less screen time this time around with Gary Oldman and Morgan Freeman getting about the same amount of screen time as in the previous films. Like with Nolan’s previous casting of his villains I was a little hesitant of Tom Hardy as Bane and Anne Hathaway as Catwoman. Though after watching I was blown away by their performances. Anne Hathaway did a great job playing Selina Kyle/Catwoman (although she is never actually called Catwoman). Nolan using a less crazy cat lady approach to the character and more of a realistic cat burglar feel. Also Tom Hardy is just great as Bane. I had to see the film twice so I could fully enjoy his acting. With the mask covering most of his face he had to do a great job in showing his emotion; which is seen when looking into his eyes. For me, this was the perfect end to the perfect series. It had great acting, great action, and a great story as well. Here’s to hoping they don’t reboot the series for a very long time. I give The Dark Knight Rises an Excellent 10/10!